We are a major Manufacturer & Exporter of Emulsifiers that are specialty substances used to stabilize emulsions by enhancing the kinetic stability. We offer the widest range of Emulsifiers from different classes. Because of accurate formulation and high degree of purity, our Emulsifiers are extensively used as active agents in varied industrial applications. One can purchases Emulsifiers in bulk from us. We have priced our Emulsifiers reasonably. Chemical Nature : Fatty Polyamide-immidazoline Mix. Physical Properties : A Performance grade product, Liquid at room temperature with strong characteristic acrid Odour, corrosive to skin with burning sensation. Miscible with hot water and polar solvents. Gives strongly alkaline pH in water dispersed phase (1% solution), requires HCl / phosphoric acid mediated pH lowering to achieve Emulsifier properties for Cationic Rapid and Medium Set Bitumen Emulsion. Addition of a compatible Anti-stripping Agent in Bitumen prior to emulsification greatly improves emulsion properties. 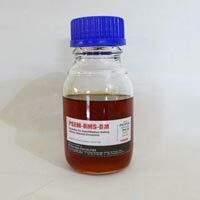 Uses : Emulsifier for Rapid and Medium Setting Cationic Bitumen emulsions. 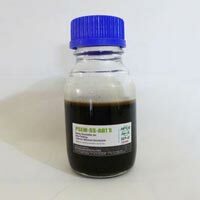 Uses :Emulsifier for Rapid and Medium Setting Cationic Bitumen emulsions. Storage and Handling : PSEM-RMS-DM can be stored in Stainless steel or HDPE Tanks. Heating should be avoided. Prolonged storage may result in thickening and gelling, but products fully retain the emulsifying properties. 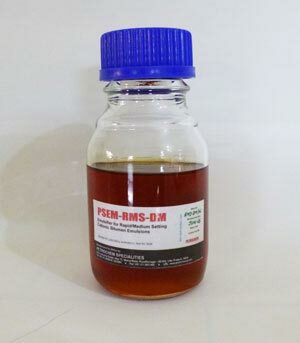 PSEM-RMS-DM contains amines and may cause irritation or burns to skin and eyes. Protective goggles and gloves must be worn during handling this product. Vapors are harmful, avoid inhaling. Packaging Information : PSEM-RMS-DM is available in MS / HDPE Barrels of 180 kg net weight. Chemical Nature : Substituted Polyamino-Fatty Amphoteric Compound. Physical Properties : Liquid at room temperature with strong characteristic Odour, corrosive for skin with burning sensation. Miscible with hot water and polar solvents. Gives neutral to alkaline pH in water dispersed phase (1% solution), requires HCl mediated pH lowering to achieve best Emulsifier properties for Cationic Slow Set Bitumen Emulsion. 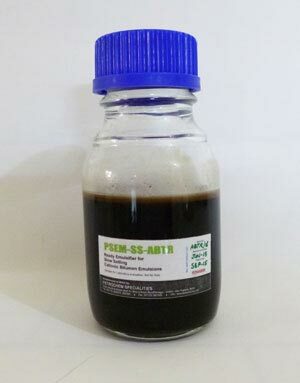 The Bitumen Emulsions made using PSEM-SS-ABT pass Cement mixing test in addition to general requirements. Addition of a compatible Anti-stripping Agent in Bitumen prior to emulsification greatly improve emulsion properties. 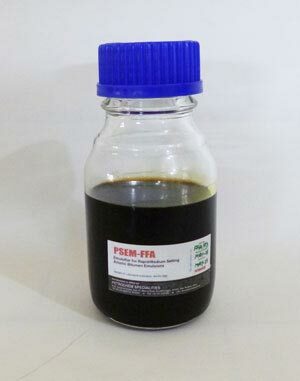 Uses : Emulsifier for Slow Setting Bitumen emulsions. Storage and Handling : PSEM-SS-ABT can be stored in Stainless steel or HDPE Tanks. Heating should be avoided. Prolonged storage may result in thickening and gelling, in such case addition of upto 10% Isopropanol with good agitation will improve flowability. 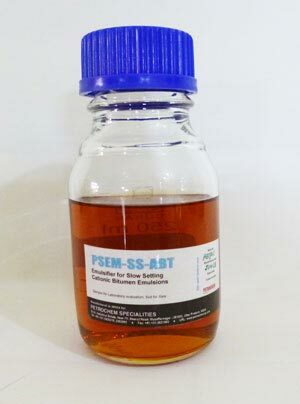 PSEM-SS-ABT contains amines and may cause irritation or burns to skin and eyes. Protective goggles and gloves must be worn during handling this product. Vapors are harmful, avoid inhaling. in Bitumen prior to emulsification improves emulsion properties. PSEM-FFA is compatible with most co-emulsifiers and stabilizers. 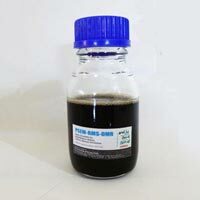 Uses : Emulsifier for Rapid & Medium-setting Anionic Bitumen emulsions. Storage and Handling : PSEM-FFA can be stored in normal MS / HDPE tanks and barrels, however leaching of plasticizers can affect efficacy on prolonged storage in plastic barrels. Packaging Information : PSEM-FFA is available in MS / HDPE Barrels of 180 kg net weight. Chemical Nature : Quaternized Fatty Polyamine with performance additives. Physical Properties : Liquid at room temperature with acrid odour, irritant for skin with burning sensation. Highly miscible with water, gives soap like solution. 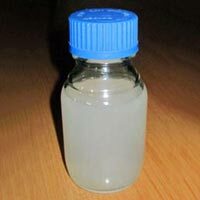 The water solution has low pH suitable for production of cationic bitumen emulsions of Slow Setting grades. 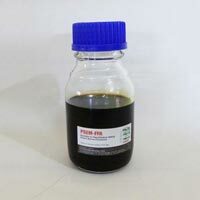 Uses : Ready to use Emulsifier for Slow Setting Cationic Bitumen emulsions. Emulsion Production methodology (using standard on-site production plant) : Hot bitumen at 120-130°C is kept ready in bitumen dosing tank of emulsion plant (Add solvent mix to bitumen for SS-1). In water dosing tank, soft water (free from harmful salts) is heated to 70°C, then required dose of PSEM-SS-ABR is poured in water and stirred for 5 minutes (referred as soap solution). The soap solution and hot bitumen are then fed to the colloid mill in proper ratio and the final emulsion coming out of colloid mill outlet is collected in a storage tank. The final emulsion is then cooled and used as required. Storage and Handling : PSEM-SS-ABR can be stored in HDPE tanks. Material can gel upon prolong storage in cold temperature, but all the properties remains equally good. 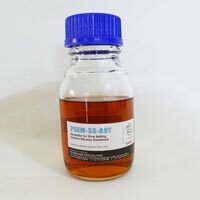 PSEM-SS-ABR contains acids for pH adjustment and may cause irritation or burns to skin and eyes. Protective goggles and gloves must be worn during handling this product. Vapours are harmful, avoid inhaling. Packaging : PSEM-SS-ABR is available in HDPE Barrels of 200 kg net weight. "PSEM - RMS - DMR"
Chemical Nature : Neutrailsed Fatty Polyamine Condensate with performance additives. Physical Properties : Liquid at room temperature with acrid odour, irritant for skin with burning sensation. Highly miscible with water, gives soap like solution. 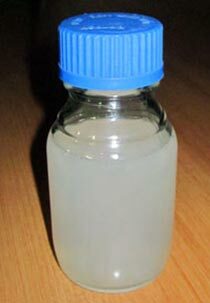 The water solution has low pH suitable for production of cationic bitumen emulsions of Rapid / Medium setting grades. 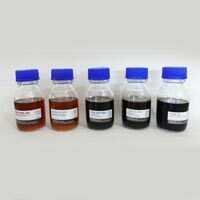 Uses : Ready to use Emuslifier for Rapid & Medium-Setting Bitumen emulsions (Cationic Type). Emulsion Production Methodology (using Standard on-site production Plant) : Hot bitumen at 135-150 oC is kept ready in bitumen dosing tank of emulsion plant. In water dosing tank, soft water (Free from harmful salts) is heated to70 oC, then required dose of PSEM-RMS-DMR is poured in water and stirred for 5 minutes (referred as soap solution). The Soap solution and hot bitumen are fed to the colloid mill in proper ration and the final emulsion coming out of colloid mill outlet is collected in a storage tank. The final emulsion is then cooled and used as required. Storage and Handling : PSEM-RMS-DMR can be stored in HDPE tanks. Material can gel upon prolong storage in cold temperature, but all the properties remains equally good. 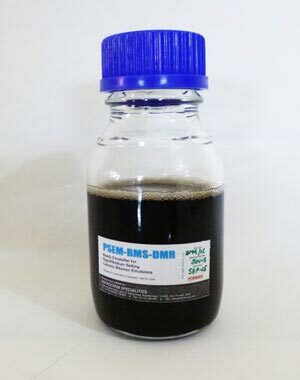 PSEM-RMS-DMR contains acids for pH adjustment and may cause irritation or burns to skin and eyes. Protective goggles and gloves must be worn during handling this product. Vapours are harmful, avoid inhaling. Packaging : PSEM-RMS-DMR is available in HDPE Barrels of 200 kg net weight.